On March 15 at the 2019 JUNO Awards Chair’s Reception, Music Canada President and CEO Graham Henderson officially introduced Jennifer M. Sloan, the association’s new independent Chair of the Music Canada Board of Directors. 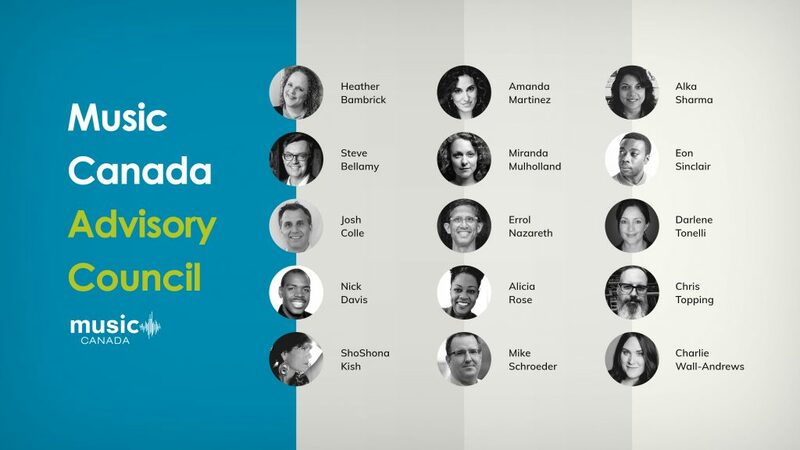 In Sloan’s first public remarks as Chair, she unveiled Music Canada’s new 15-member Advisory Council. The Council is comprised of exceptional and passionate individuals representing diverse ethno-cultural backgrounds, sexual identities, and geographic regions – reflecting Canada’s vibrant and diverse music community. The Council will evaluate Music Canada’s progress against the stated goals and objectives in the association’s strategic plan. The Council will also advise Music Canada on its programs, activities and research to support the organization in its mandate as an agent of change and thought leader in the music community. Watch Sloan’s remarks in full below. For more information on Jennifer Sloan’s appointment to the Music Canada Board of Directors, as well as Music Canada’s new Advisory Council, see our media release.